It’s that time of year again, when we all think about, getting healthier and being more organized. This is also a great time to evaluate your horse supplies and daily activities. Checking expiration dates on medications, refreshing your first aid kid, cleaning out cobwebs and feed bins. Starting fresh will allow you to toss unusable medications and eliminate rodent and insect housing. Getting organized now, will allow you to appropriately and quickly treat any minor issues your horse may have over the year. Plus you can strengthen the bond between you and your horse by hanging out in the barn. Another area to consider is your veterinary care. Annual vaccinations are not just for vaccinations, your veterinarian performs a thorough clinical examination to assess your horse’s heart, eyes, general health and to answer any concerns you may have. This examination can evaluate any new lumps or bumps or any changes that may be bothering your horse. Scheduling regular health exams/ dental floats and vaccinations will help detect small problems before they become big issues. Your veterinarian may advise some blood tests or further diagnostic procedures to be performed if there are any concerns from the exam. These are not frivolous suggestions, they may help to monitor organ function in older horses or those on long term medication. Routine farrier work is also very important. Farriers and veterinarians can be very busy so make sure you contact them in advance to make sure you have a back up plan if they are unavailable. We all have our horse’s best interests at heart, a little plan can keep everyone healthy and happy. Happy New Year!! 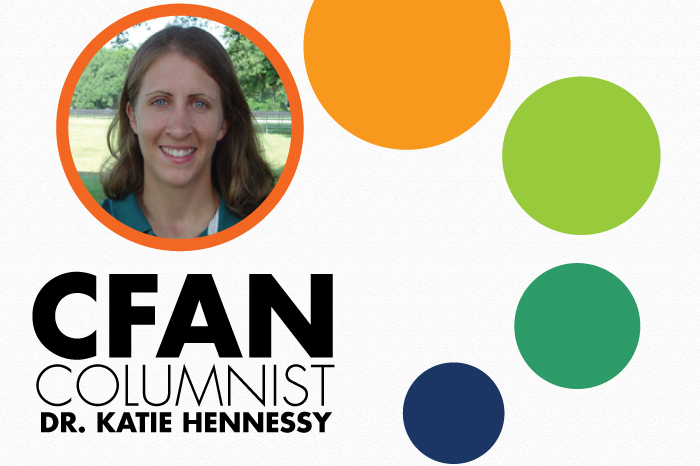 Dr. Katie Hennessy graduated from the University of Illinois College of Veterinary Medicine in 2008 with a degree in large animal health and equine medicine. She completed an advanced internship at The Equine Medical Center of Ocala and is currently the owner and practicing veterinarian at Polk Equine. Her expertise ranges from small and exotic creatures to large animals, specializing in equine medicine.